- Copy the entire dload folder (with UPDATE.APP in it) to the root directory of the Micro SD card. - After Copying the Update.the app, Turn off your phone. - Make sure your handset is power off. - Now Press the VOLUME UP and VOLUME DOWN key, and then press the POWER key to power on the phone and enter the Software Upgrade Mode. --- OR without turning off your phone. 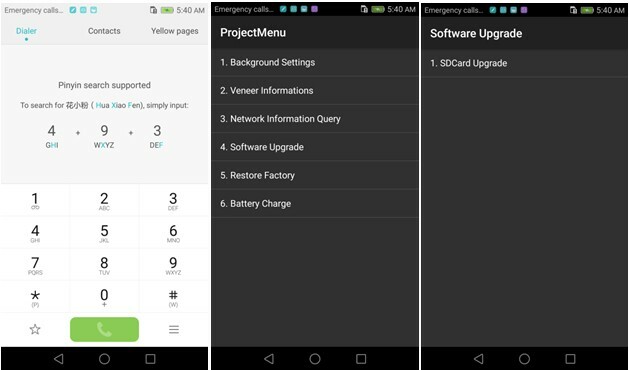 Open the dialer and call ->enter: *#*#2846579#*#* ->ProjectMenu->Software Upgrade->SDCard Upgrade->OK and select the Update.app that you moved to SD Card. - When the progress bar stop, the phone will restart automatically. - To Update the Data File Huawei P10-L29 - *.0_hw_**, you can follow the Normal Upgrade.